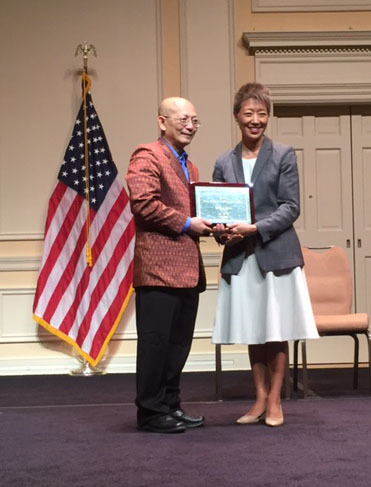 Yary Livan receiving National Heritage Award, posing with NEA Chairwoman Jane Chu. What a delight it was to be present for the 2015 NEA National Heritage Fellowship awards in Washington, DC last week. The stellar “class” of master traditional artists were recognized and feted in the nation’s capitol. The events culminated in a dazzling and moving concert most ably emceed by PRI The World’s Marco Werman. We congratulate all of this year’s heritage fellows, but are especially proud of Lowell, Massachusett’s Yary Livan; his stunning artwork and life story should make us all proud of the opportunities this country continues to provide immigrants. Here’s to Yary, a gentle and humble soul. 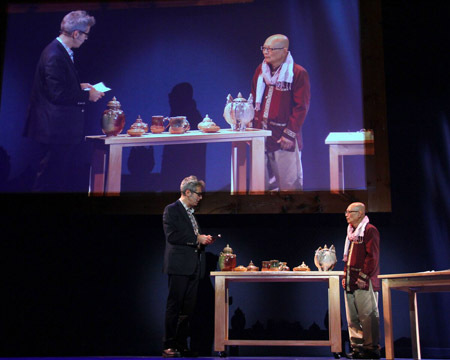 We look forward to the work he has yet to create and the efforts of the many students who will benefit from his dedication to passing on this incredible, endangered Khmer art form. 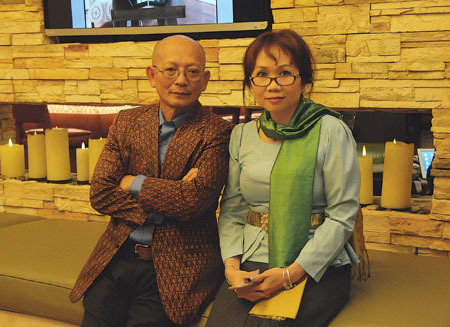 Yary Livan with his wife and “life assistant” Nary Tith. Photo by Tom Pich.